You might be a fan of their appearance, but aluminum light poles bring more to the table than just their looks. 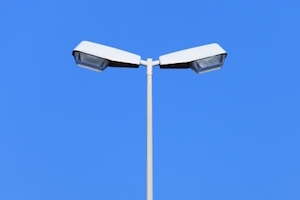 Whether you opt for squared or rounded varieties, these light poles have become more popular than ever. This is thanks to their impressive ratio of strength to weight, as they are sturdy while still being lightweight. Additionally, they feature a high resistance to corrosion. These advantages, coupled with their recyclability, make aluminum light poles a perfect match for sustainable projects and harsher environments. Aluminum is a great material to use when you’re prioritizing strength and reliability. However, just as important as the variety of light pole is the installation procedure. If your poles don’t have proper installation, you could be losing out on the benefits of the lights. A sloppy installation by the wrong people compromises everything from the reliability of the lights to your safety. Not all vibration is bad, but the destructive form of it can cause serious damage over time as cracks begin to form and then spread along the pole’s side. If the pole’s movements are not equal in either direction, it is simply usual sway, and therefore no reason for concern. On the other hand, if it is constantly moving back and forth an equal distance, with the motion based at the center of the pole’s shaft and not on top, you’re seeing potentially destructive vibration. Eventually, this can lead to the pole shaft cracking and falling, breaking just above the part of the base where the weld held it together. Several factors contribute to pole vibration. These include the pole shape, the surrounding environment and the installation. Whoever performs the installation needs to follow the appropriate guidelines for the size and type of pole, as each pole can handle a certain load. If your installer uses the wrong light fixture, destructive vibrations could be inevitable. Every installation job will have its requirements, based on the client’s needs as well as the location in question. One aspect that doesn’t change, however, is the importance of safety. Light pole installations fall under the umbrella of electrical work, which is always a dangerous area for anyone who isn’t an expert. Any piece of electrical equipment improperly installed can become a safety hazard, and aluminum light poles are no exception. Your installer must comply with local codes and requirements as applicable. As such, they need to provide proper electrical groundings. Failure to do so can be a serious violation of important safety regulations. Worse, it can lead to a very dangerous situation for you and anyone exposed to the light poles. Don’t risk an installation performed by someone unqualified for the job. Bryan Electric has been performing new lighting installations for years, and we’ll set up your aluminum light poles the right way, so you can avoid the dangers of an improper install. For more information, give us a call at (770) 680-2144 today!